It's been awhile since we first mentioned the personable Rorot figure (5+") from Korea-based 3imension. The 3D-printed (PLA/ABS) figure features a minimalist, industrial design with impressive articulation and nicely weathered paint application. Happily, the wait for the self-produced figure has come to an end. 3imension is now taking orders for the debut Rorot edition (10 pieces) which includes Rog, his robotic dog, as a special bonus exclusive to this first release. The Rorot and Rog set is available for $250 and includes a tin box with foam insert. To order, email [email protected] with a subject of 'Rorot + Rog set' and include your Name and IG ID, Country, Shipping Address, Phone Number and Paypal ID. Check the official announcement for full info including shipping information. 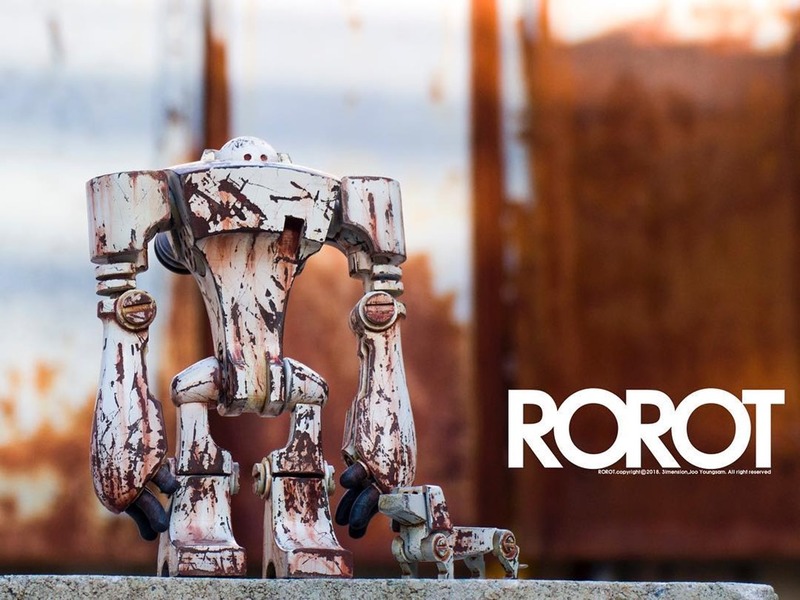 Rorot's high quality design, execution and tremendous articulation are impressive and set it apart. As seen in the pictures after the jump, Rorot can strike several poses including standing, sitting, kneeling and more. If you've been looking for a distinctive robot art toy to add to your collection, your search is over. 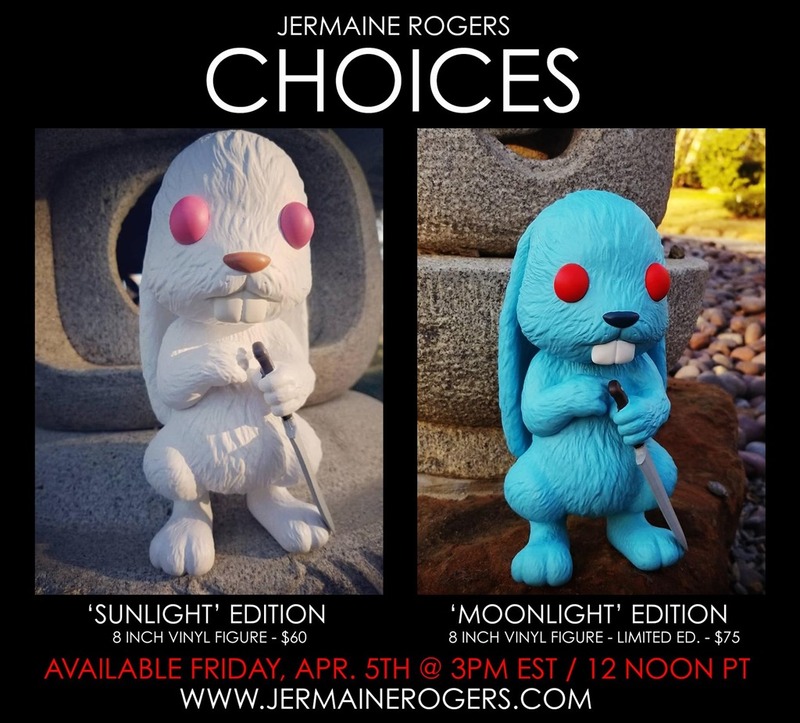 First revealed back in February, Jermaine Rogers' new Choices Sunlight and Moonlight editions are dropping on Friday (4.5) at 12 PM PST from his online store. The Sunlight edition ($65) features a a white body and pink eyes with a brown nose. Limited to just 200 pieces, the Moonlight edition which blends light blue fur with a dark blue nose—a nice choice, indeed—will be available for $75. These fateful rabbits follow the FYE Stlorm exclusive as the 2nd and 3rd releases of Choices Series 2.